Cresyn launches C510E "half in-ear" headphones | What Hi-Fi? Cresyn has added the C510E headphones to its range of innovative half in-ear headphones. 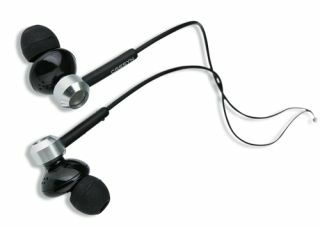 The headphones have a dual-chamber, semi-open back design, unusual for an in-ear headphone and cost just £30. What's more, Cresyn in fact refers to its headphones as 'half in-ear' due to how the earphones sit just outside your ear canal. The design aims to make the earphones less intrusive and more comfortable for longer listening. The new Cresyn C510 headphones join the C415E earphones – and you can read our review of those here. Cresyn is one of the largest headphone manufacturers, and is an OEM manufacturer for brands including Apple, Audio Technica, LG, Panasonic, Samsung and Sony. Cresyn headphones are exclusively distributed in the UK by iHeadphones.